More and more, teachers in UK language schools are facing unsteady work, sub-par working conditions, and precarious employment. In other words, the freelance contract. But here's the thing: it is completely illegal. The language schools that employ us can't put us on sham “self-employed” “freelance contracts” that deprive us of our most basic workplace rights while undermining any semblance of job security. According to the HMRC, the government agency which determines employment status, it is virtually impossible for language school teachers to be self-employed. Truly self-employed teachers must make their own schedules, decide their own curriculum, choose their own hours, and take money directly from students. Does this sound like EFL teaching to you? Then get your fellow teachers to do the same. If you can, collectively bring this to the attention of your manager. It's safer and more powerful than trying to deal with it on your own. You can expect management will have a response. Most likely they'll tell you that you make more money freelance as you don't pay taxes. Here's where that argument falls down: no one in the UK pays income tax on their first £10,000 of yearly earnings anyhow. And the slight amount you will end up contributing in tax and national insurance payments (which you'll start paying at around five grand) will be more than made up for in benefits, not the least of which includes holiday pay. Add to this access to the grievance and disciplinary procedures and other benefits like parental leave and it's easy to see that despite whatever the bosses may say, we're far better off being directly employed. In regards to back taxes, don't let your employer scare you. The HMRC doesn't really care about lowly paid workers who've been misled by shady managers. They're going to look to our tax-evading schools, not us. The next issue is holiday pay. You are entitled to the holiday time you should have accrued during the time in which you were “freelance”. To put it another way: your holiday pay accrual began on your first day of employment, not the first day your employer puts you on the correct contract. Now, chances are your employer will offer to put you on a directly-employed zero-hours contract or a “rolling” contract that only lasts month-to-month or quarter-to-quarter. Here's where being organised with your co-workers or having the backing of an outside organisation is so important. This is your opportunity to fight for a decent contract. What do you think is a fair weekly guarantee of hours? 15? 20? 25? Do you get paid prep time or paid sick leave? Should you? One final pitfall to watch out for: many employers will try to claim holiday pay is “rolled up” into your hourly wage. This is illegal. Don't accept it. As the Angry Language Brigade, we see this as part of a larger issue of wage theft and unpaid work in the language teaching industry. So if you're suffering under a freelance contract, we actively encourage you to get a hold of us. We have members who've addressed this issue at their own schools already and we're happy to offer advice, support, and publicity. However, there are other organisations we work closely with who also have experience supporting language workers fighting for better conditions. Don't be afraid to reach out to them, either. Truly self-employed teachers must make their own schedules, decide their own curriculum, choose their own hours, and take money directly from students. Does this sound like EFL teaching to you? Yes, good stuff! For something to qualify as truly self-employed there are a lot of necessary criteria, which as you point out would exclude pretty much all language school teachers. So best of luck with opposing this! I was just wondering, does this change at all if you're working through an agency? Like, if there's an agency that finds you different students but it's the agency (not the students) who pays you then what's the deal? 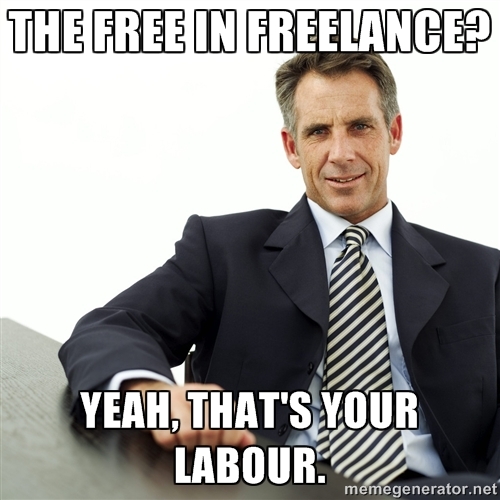 Are you still technically freelance or are you employed by the agency? And if so, are you then entitled to holiday pay etc? HMRC test link should now be working. If, in the future, it goes down again, please leave us a note and we'll try to fix it (again). Looks like that link is f*cked again. Try to sort it out later.